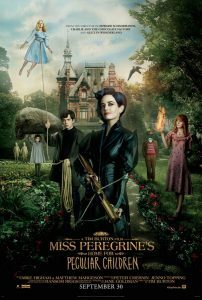 A horrible family tragedy leaves Jacob, 16, traveling along the coast of Wales, where he discovers the ruins of the home for children of Miss Peregrine peculiar. As Jacob explores the abandoned rooms and corridors, he realizes that children who lived there (one of whom was his own grandfather) was something out of the ordinary. They may have been dangerous. They may have been quarantined on a deserted island for good reason. And, somehow, (impossible, apparently) may be still alive.